Like a well-meaning-but-sort-of-annoying-best-friend, I worry about the future of 13th Age. The 3rd/4th edition fantasy RPG house blend by Rob Heinsoo and Jonathan Tweet hit the perfect note, melding those two polarizing editions together into something that is fast, playable, and fun, all the while being its own thing and fostering the creativity of players, something its ancestors were oft-criticized for not doing. Then, D&D 5th edition was released, and the unthinkable happened: it was really, really good. Though this could still be too early to say, commentary across the internet are giving the impression that 5E is the Chosen One of RPGs, foretold by GM prophecy to unite the disparate editions and play styles of D&Ds of the past. So, in this magical world we live in where the World’s Biggest Role-playing Game is once again relevant, where does this leave 13th Age? The stakes are pretty high here, because like today’s D&D, 13th Age is really, really good. As an example, I present to you the 13th Age Bestiary. Weighing in at 244 beefy pages, the Bestiary is top-shelf RPG material, with the layout and art one would expect of a book twice this book’s MSRP. Publisher Pelgrane Press has struck an excellent balance between value and aesthetic throughout all of their books, and 13th Age continues to be the ship of the line. What makes the Bestiary so awesome is its transcendence from “book full of bad guys for your players to murder and loot” to an actual, honest-to-God sourcebook. With all the background details, advice on setting up encounters, and variations on every conventional monster trope, the Bestiary is as much a monster-focused GM’s guide as it is a book of beasts. This isn’t some perfunctory “corebook” you need to play; everything you actually need is in 13th Age’s corebook. The Bestiary just gives you so much more. Take, for example, the lowly kobold. 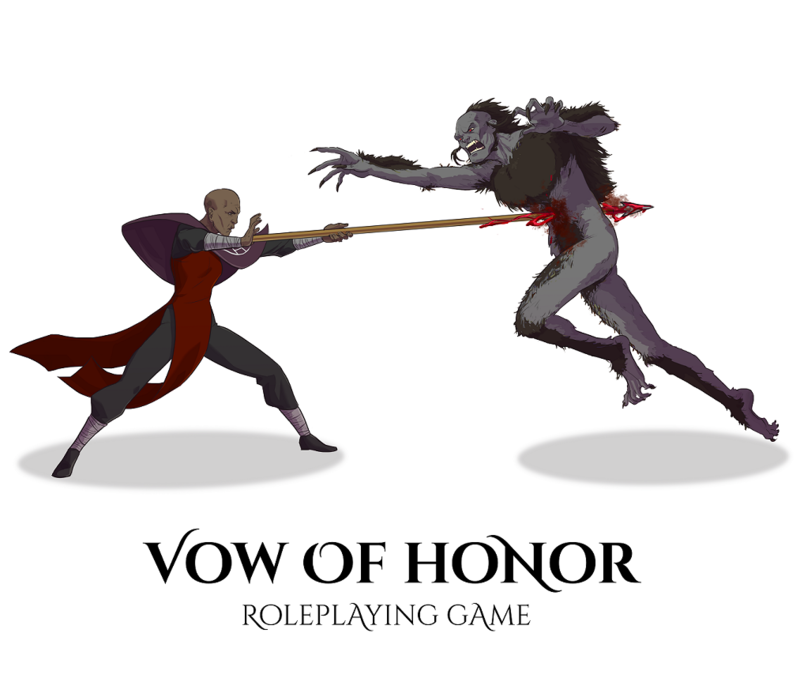 Other fantasy RPGs will give you a page, maybe less, describing an iconic monster that has historically been nothing but an appetizer to the monster-slaying entree. You’ll get a couple of paragraphs describing their lifestyle and habits, maybe an extra block or two for harder versions, like a dragon priest or elite soldier or something, and that’s it. Who could ask for anything more? 13th Age gamers, apparently. The kobold entry in the Bestiary is seven pages long. There are eight different brands of kobold listed (not including the baseline kobold, which is not even in the book, since the stats for them are in the corebook). There’s three paragraphs of GM advice on building kobold-flavored encounters. There’s a section detailing relationships between kobolds and each of 13th Age’s icons. There’s six paragraphs of kobold-specific magic items. There’s four adventure hooks. There’s even a brand-new ability, trapster, with an entire page of description and usable not just by kobolds, but any monster that could conceivably have skill in trap-building. And all of that is just one entry. Out of 52. Yeah, you need to know monster levels and roles, and we’ve a table for that starting on page 234 in the appendix. Here are a few less common lists you may find useful. It’s the “yeah” at the beginning. It contributes to this whole feeling like this entire book was written as an email to a gaming group, then published (here’s the one sentence intro to the kobold entry: “Kobolds claim to be the spawn of dragons. Spawn or something-or-other.” I half-expected to see “lol j/k” at the end of it. Ugh.). This kind of language is littered throughout the Bestiary, just like it is in the corebook. This may sound minor…and maybe it even is…but now that the 800-lb. Gorilla known as Dungeons & Dragons is back, amateur hour is over. 13th Age may not be able to get by on “D&D without the baggage” anymore. Because the baggage suddenly got a lot sexier. 13th Age is a damn-fine roleplaying game in and of itself. 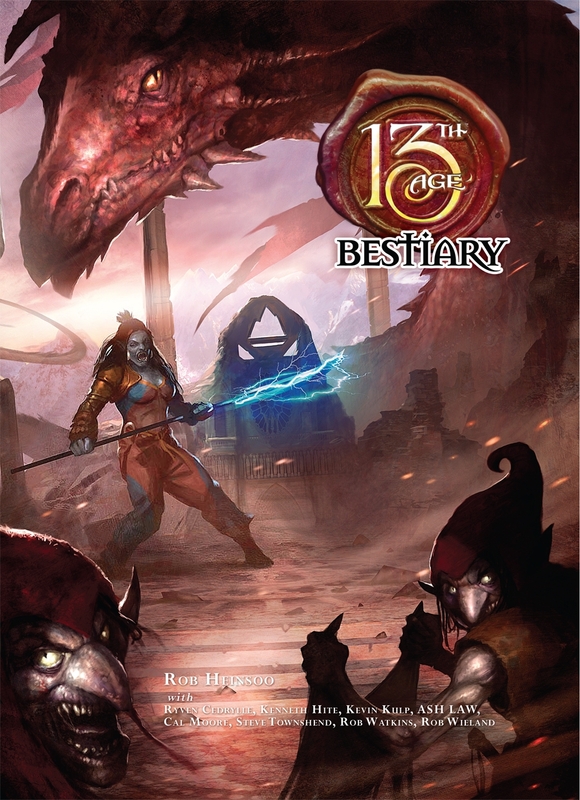 I wholeheartedly endorse the 13th Age Bestiary, and encourage anyone who’s got the corebook to pick it up immediately…while it’s still in print. My copy of the 13th Age Bestiary was provided for review. I love the writing in 13th Age too. It’s fun to read and you KNOW these people are playing RPGs and having a blast. GeekNative PelgranePress the house voice is actually one of the big selling points to me. Makes it seem more alive.